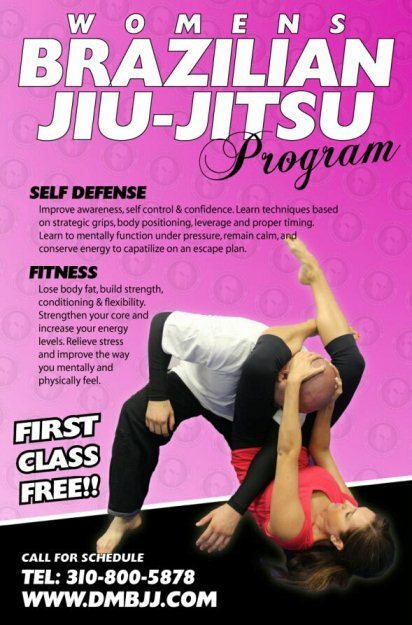 The DMBJJ Womens Self Defense Program is the first WOMEN'S ONLY class offered at DMBJJ. It consists of 10 core lessons and 5 advanced lessons where a qualified instructor will teach you how to neutralize the 15 most common attacks ranging from having your hair grabbed to being pinned to the ground by a weapon-bearing assailant. Each session will address two to three important techniques. 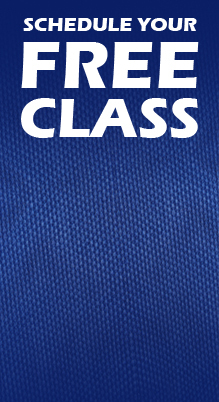 You can start the program at any time and participate in any class without previous experience. Unlike most self-defense systems that rely heavily on strength, speed, and coordination, the techniques in the DMBJJ Womens Self Defense Program employ leverage, technique, and timing, so anyone, regardless of age or athletic ability, can make them work against larger opponents. Once you have completed the techniques of our Womens Self Defense Program and a minimum of 4 reflex development classes, you may test for promotion to Teal Belt! If you have no previous martial arts experience and you want to learn how to defend yourself in a fun, safe, and cooperative learning environment, then DMBJJ's Womens Self Defense Program is for you! Law enforcement officials and survivors of sexual assault helped us to identify the 15 most common attack strategies that a male assailant is likely to use on a woman. From hair-grabs and chokeholds, to bear hugs and weapon defenses, the DMBJJ's Womens Self Defense Program program covers it all. Step 3: Earn the Teal Belt! As mentioned, once you complete each of the DMBJJ's Womens Self Defense Program lessons four times, you are eligible to test for promotion to Teal Belt! During this 15-minute test, we will assess your execution of all 15 essential techniques. If your performance meets the Academy's standards, you will qualify for promotion to Teal Belt. As a Teal belt, you will be more than ready to move on to the DMBJJ Adult Programsthat are also affered at the academy should you choose to continue the jiu-jitsu journey! To ensure the DMBJJ's Womens Self Defense Program is for you, we invite you to take advantage of an absolutely FREE lesson whenever you like! To take advantage of our free trial, simply contact our Academy and a student services representative will help you get started right away!